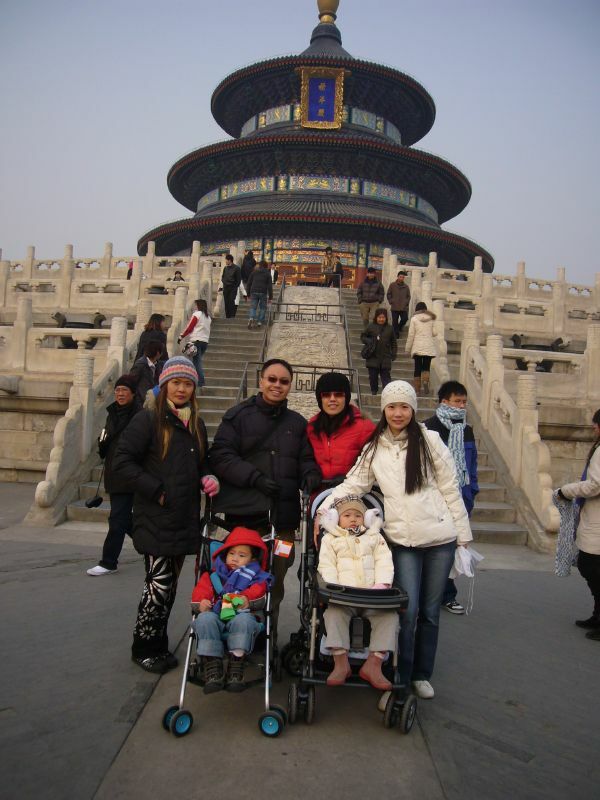 Built during the Ming dynasty period by the Yongle (forever happy) Emperor from 1406 to 1420, the Temple of Heaven (天坛) in Beijing is one of the many must-visit historic sites. An internationally acclaimed UNESCO World Heritage Site (1998), it boasts of a complex of different circular buildings interlinked by a grid of corridors, walkways and pavillions. 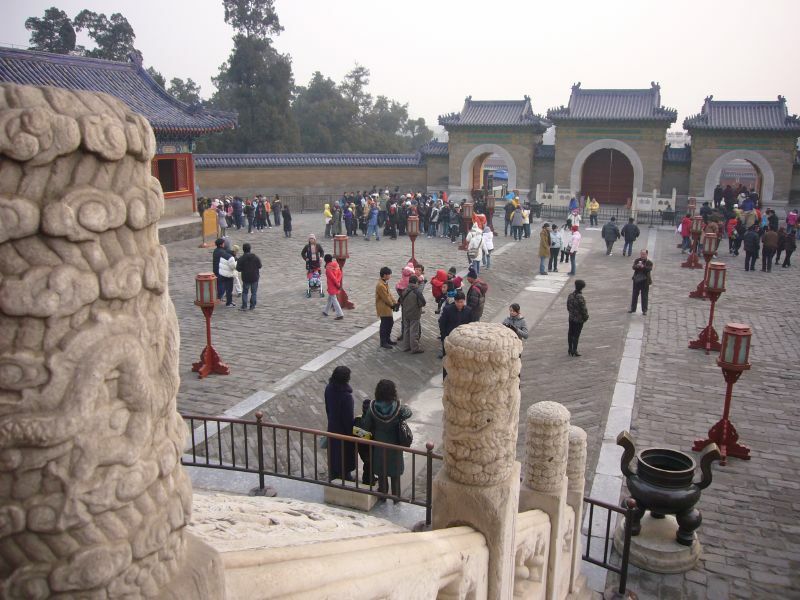 Surrounded by a beautiful sprawling garden, the taoist temple held great significance for both Beijingers and tourists alike. 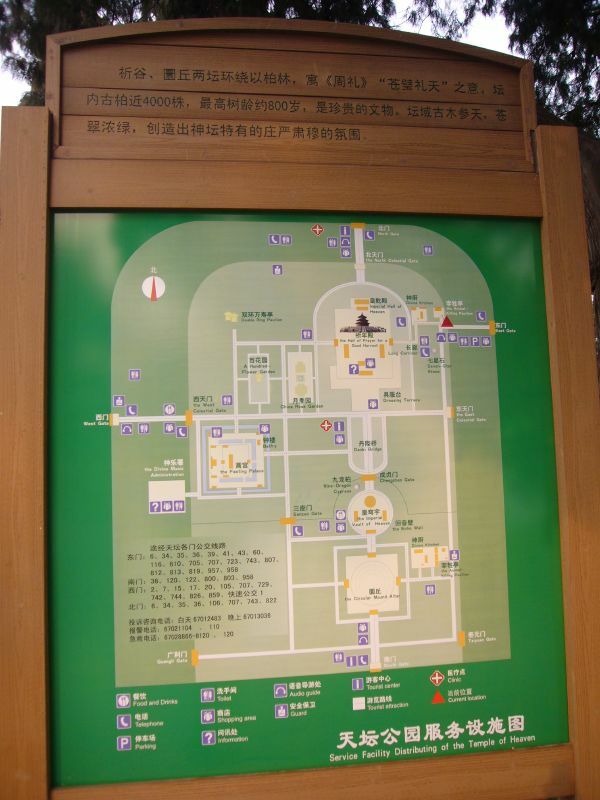 A map of the Temple of Heaven showing the extreme care made in ensuring that different building areas are linked by straight grid lines. 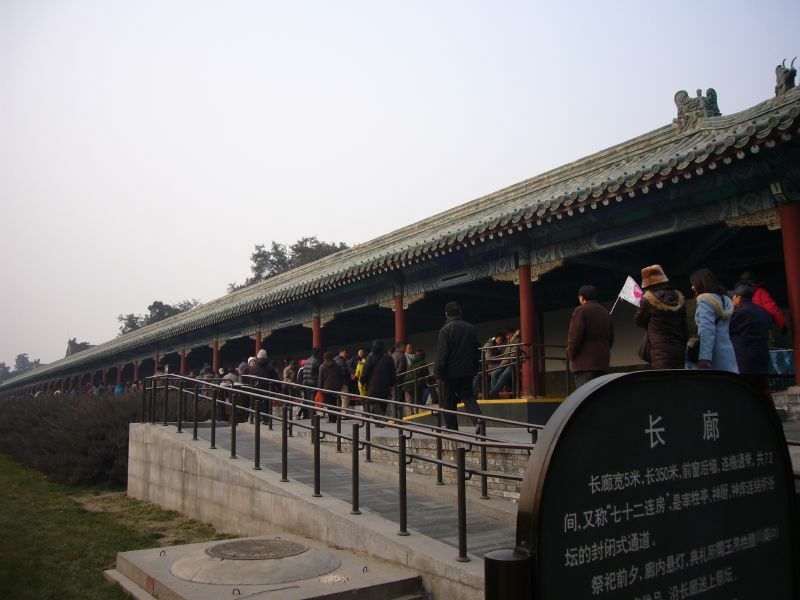 An interesting fact which I learnt was how the various monumental buildings in Beijing were linked by a grid system. 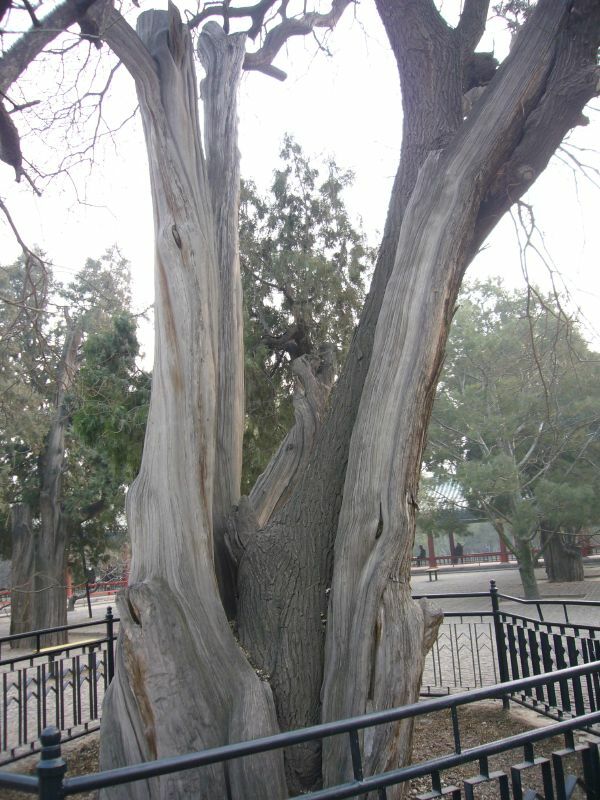 A cypress tree hugging a pagoda tree, one of the few religiously significant trees in the garden. 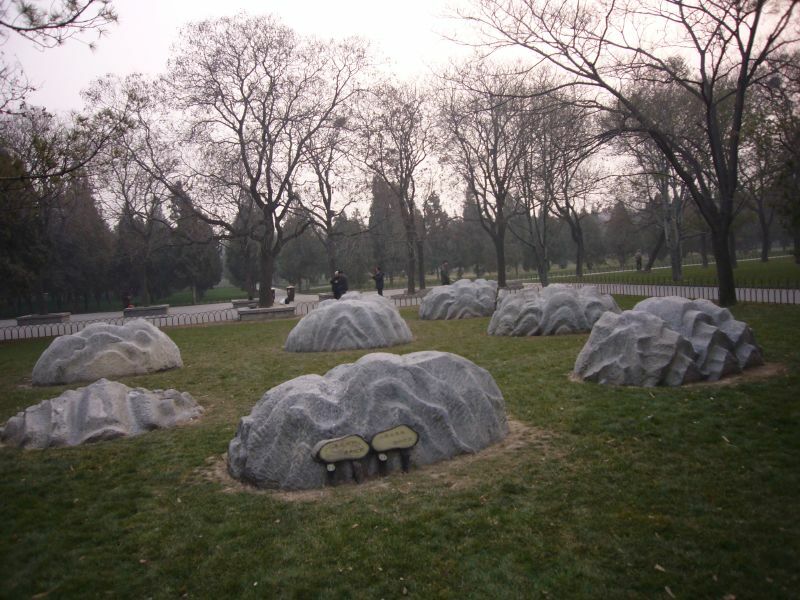 The seven star stones depict the different dynasties in China. 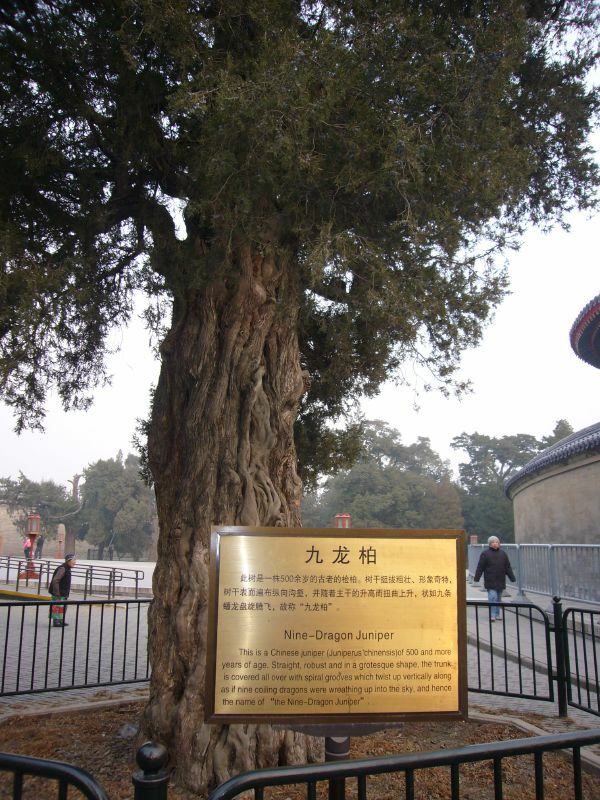 Another auspicious tree, this time in the form of a nine-dragon juniper. Don't ask me where the nine dragons are! A group of seniors and aunties having fun balancing a ball on a bat, twirling and juggling it in poetic grace. 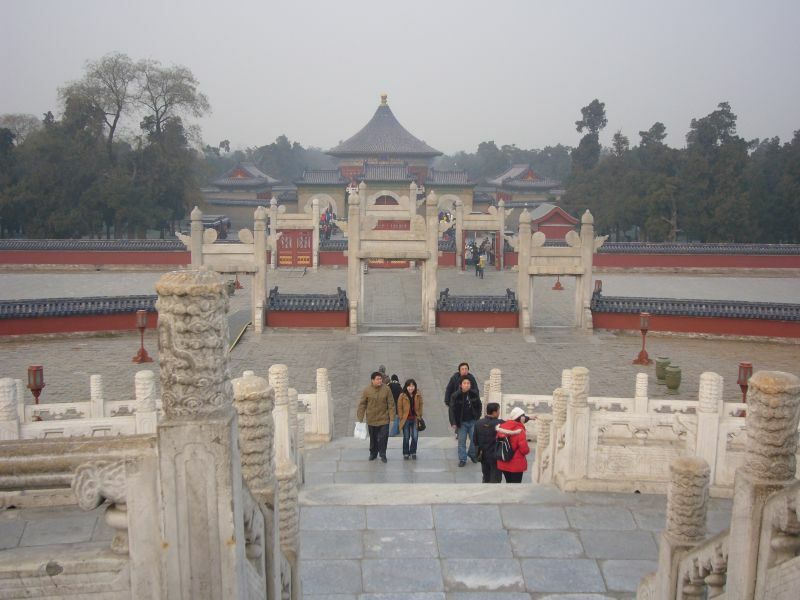 A long corridor measuring 350 metres in length paving the way to the main temple complexes. 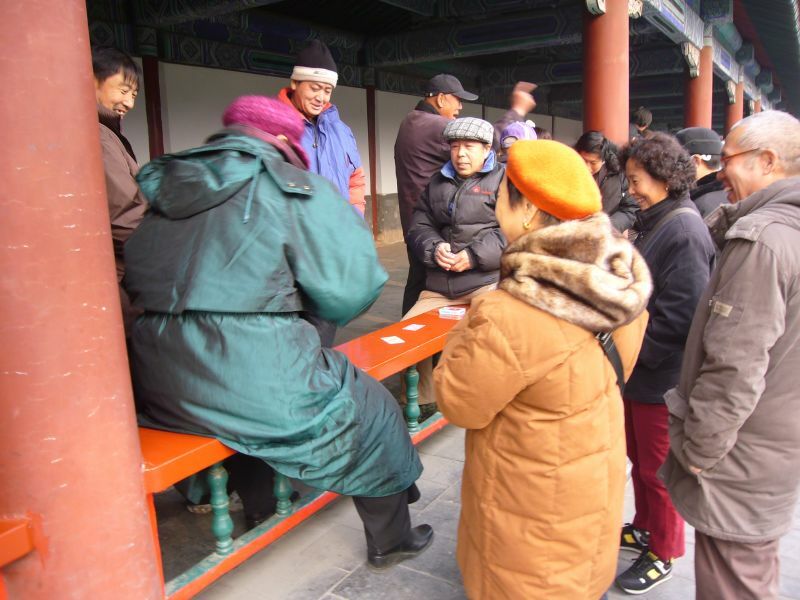 More seniors having outdoor fun, this time with a game of cards and chance. 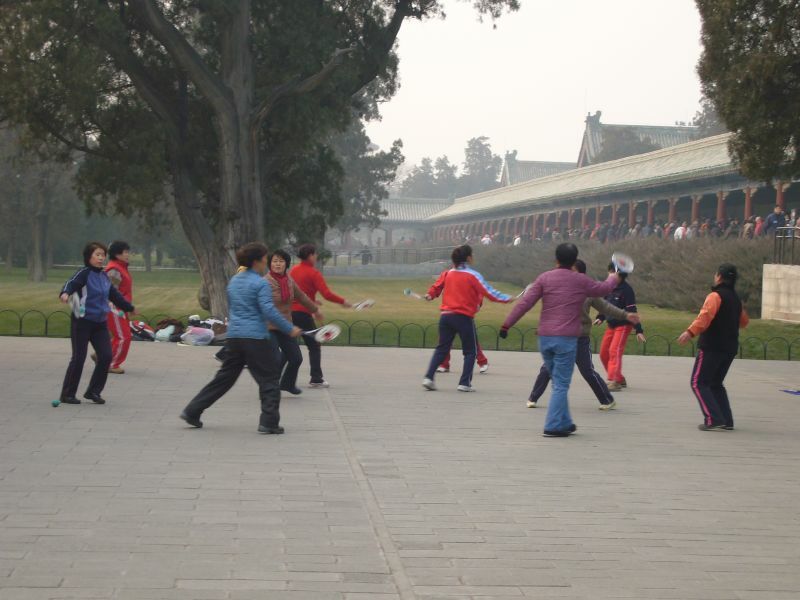 It was interesting to note how they enjoyed themselves singing, dancing and playing outside the temple complex. Active ageing in action! 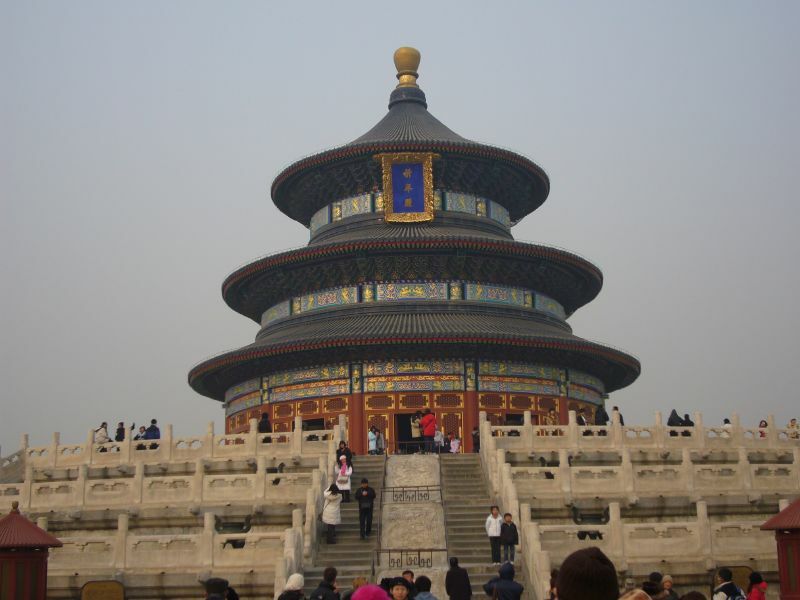 The Hall of Prayer for Good Harvests, which is the most widely recognised symbol of the temple. Naturally, we can't resist a Kodak moment here. 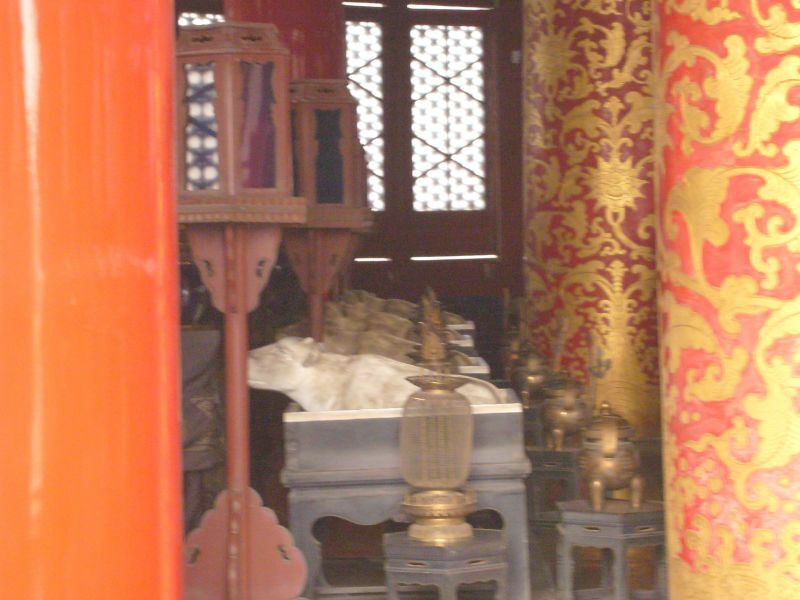 These sacred calves in the temple added an interesting twist to its finely filigreed design and architecture. The Echo Wall was a popular spot within the temple complex. You can see many people (ourselves included) hollering at the walls hoping to catch an echo and hear each other. 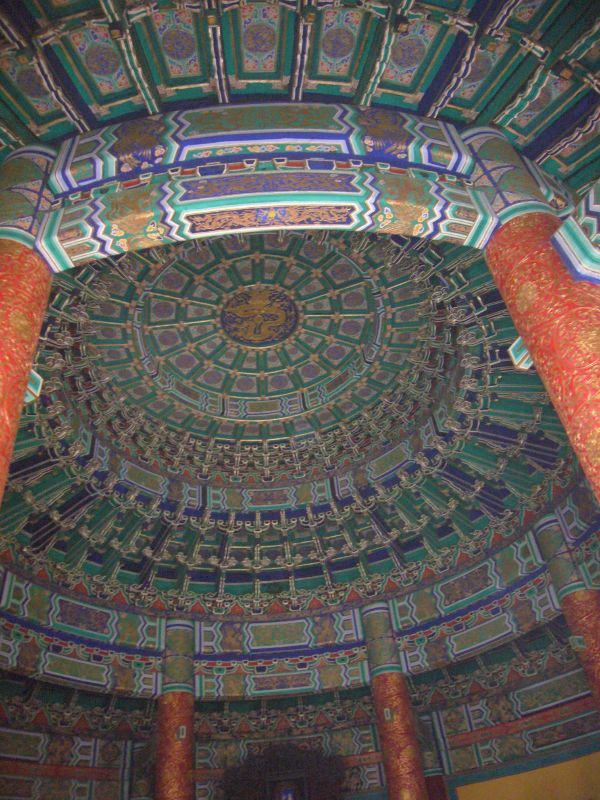 Imperial vault of heaven located within the Echo Wall compound. 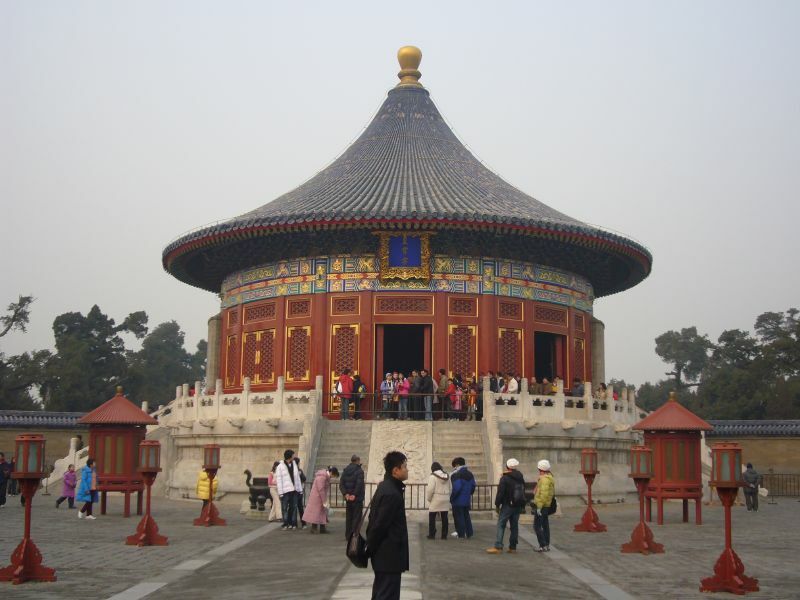 Notice the circular architecture and characteristic "Chinese straw hat" roof. Resplendent in hues of green, blue, purple and red with gold trimmings, the temple buildings are a sight to behold. 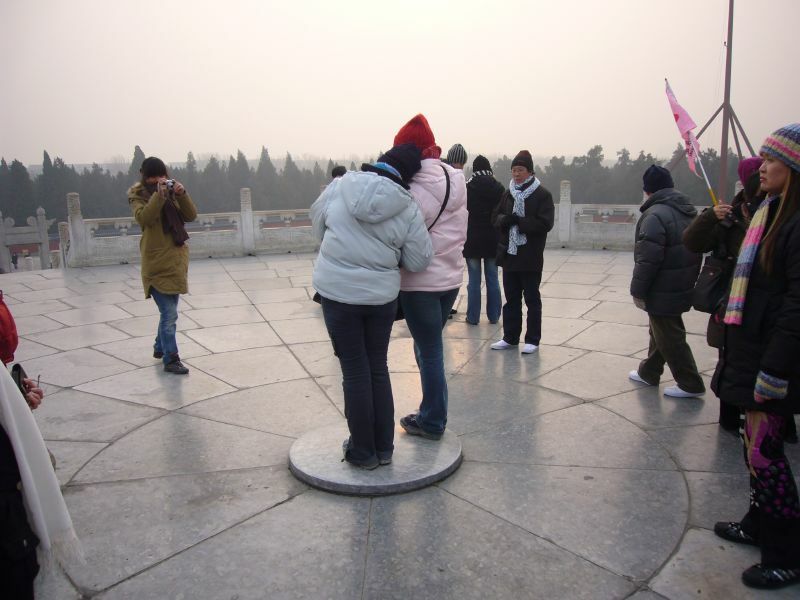 Just a leisurely stroll away was the Circular Mound which had this Heavenly Centre Stone. It is surrounded by 9 stones in the first ring, 18 stones in the second, all the way till 81 stones in the 9th ring. Those familiar with Chinese tradition will know the significance of 9 (jiu) which stands for longevity. A nice view from atop the Circular Mound.